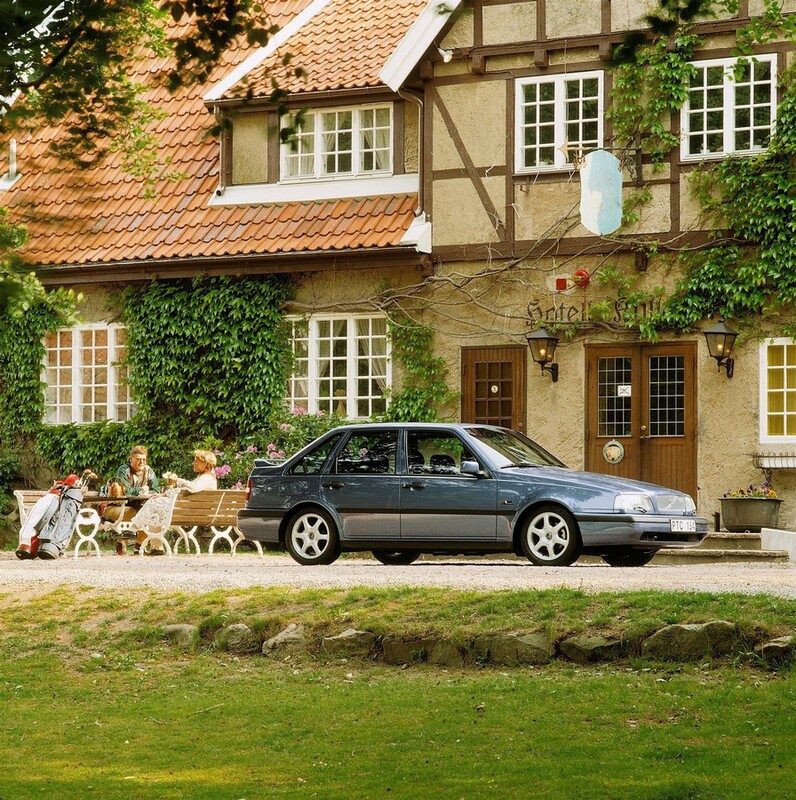 The Volvo 440 was presented for the first time in June 1988. This was a five-door family car that shared its technology with the 480 sports coupé. Volvo now demonstrated in earnest that front-wheel drive was the way forward. 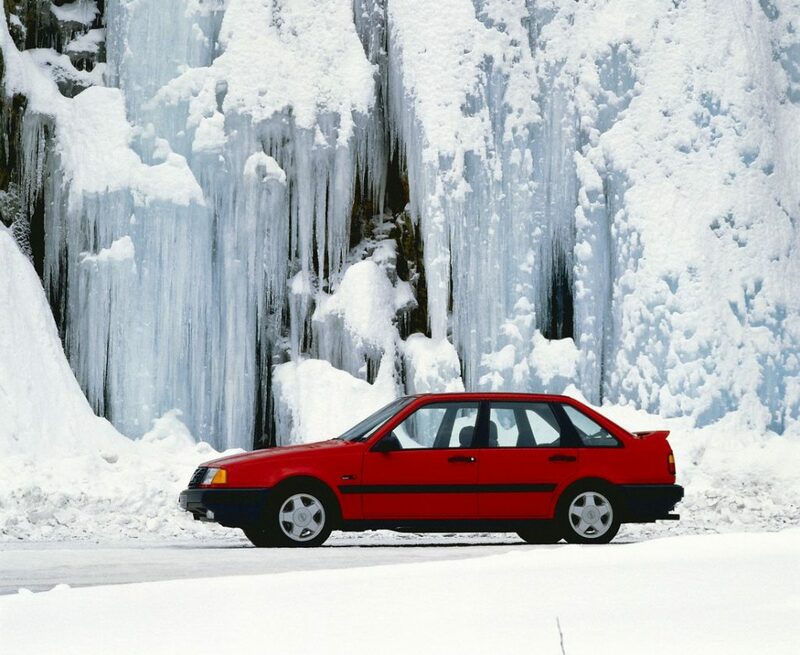 Work on what later became the Volvo 440 began back in 1978. This was a new project that would lead the company to the Volvo cars of the future. Free thinking and aiming for the stars were the name of the game – and so the project was dubbed Galaxy. In September 1980, the first front-wheel drive prototype was ready. Although its primary aim was to test the various functions, in terms of appearance it resembled what later became the Volvo 440. The G4, as the prototype was called, displayed the attributes that Volvo was looking for. It had front-wheel drive, and it was fun to drive. Interior spaces were good, while external dimensions remained compact. The Galaxy project later culminated in the launch of two model series. The big 850, which was presented in the summer of 1991, had the greatest impact, but the 400 programme actually came about several years previously. That part of the project was taken over by Volvo subsidiaries in the Netherlands in 1992, and this was where development work continued. 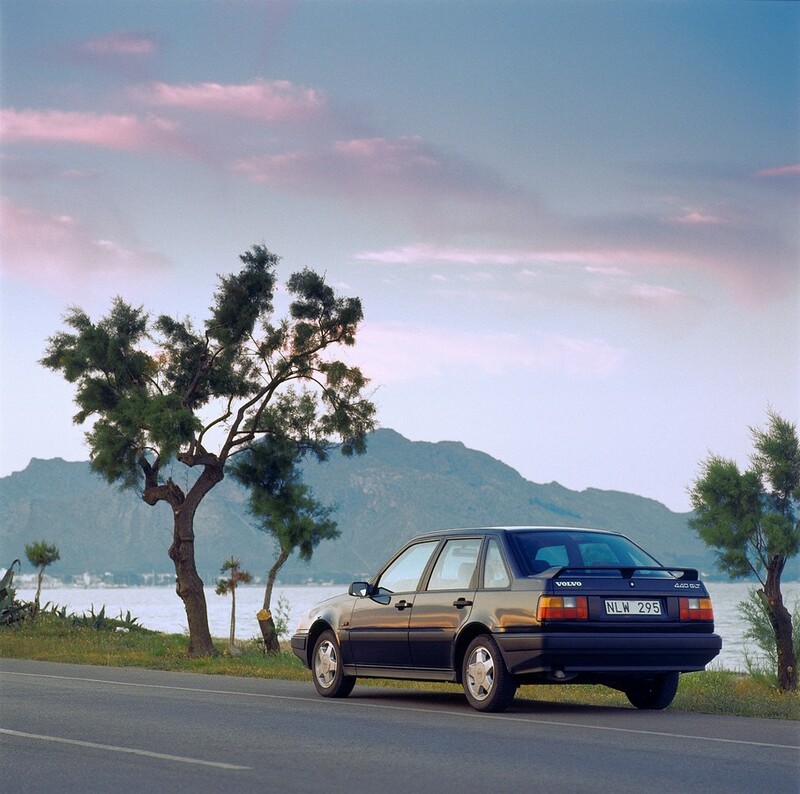 The first of Volvo’s new front-wheel drive models was the 480 sports coupé, which was officially launched at the Geneva Motor Show in 1986. This distinctive niche product paved the way for the 440, which was presented two years later and ended up battling in earnest for car buyers in the mid-range class. The Volvo 440 was a modern hatchback model with a practical rear seat that was split into two sections. The centre panel on the dashboard faced the driver, making it easier for him or her to access the controls. The arrangements linked this model programme with the 700 series, with its smooth sides and low, almost vertical side windows. All the engines were four-cylinder models with a single overhead camshaft, from 1.6 litres to 2 litres, including a 1.7-litre turbo model. 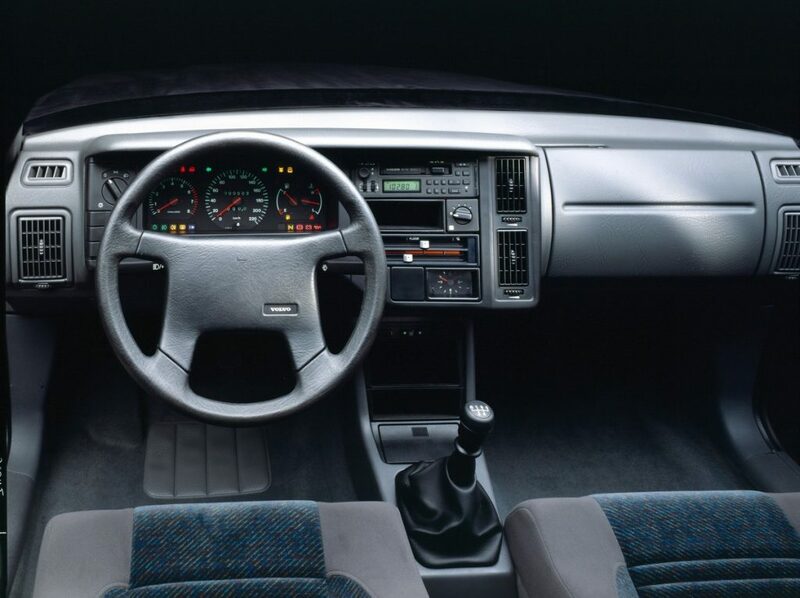 Of course, safety was a prime consideration and anti-lock brakes, ABS, were available as an optional extra as early as 1989. Seatbelt pretensioners and airbags were fitted as optional extras from model year 1991 onwards, and Volvo’s integrated side impact protection system, SIPS, was introduced to the model in 1994. This car was produced in Born in the Netherlands, where the predecessor models 340/360 and the 480 were also manufactured. The next model version in the 400 series – the 460, a saloon version of the 440 and 10 centimetres longer – was presented in 1989. Production of the Volvo 444 60 was discontinued in November 1996: successors, the S40 and V40, had been in parallel production for more than a year at that time. The Volvo 440 was also available in a police car version, and it was used as a standard patrol car for both the national police force and the regional police services in countries such as the Netherlands. The 400 series was never available as an estate, but two external design companies devised proposals. ASC Detroit in the US created a design outline, while Heuliez in France built a prototype estate for the 400 series. One of these is now part of the Volvo Museum’s collections. The design of the Volvo 440 is attributed to Peter van Kuilenburg, who worked at the design department at Volvo Car B.V., but its shape was based on the G4 prototype designed by Jan Wilsgaard, head of design. A Dutch company offered an estate conversion kit. The tailgate of the hatchback was removed and replaced with a roof, side windows and boot lid made of fibreglass. Volvo were not involved – they did not even grant permission for the estate conversion. A rallycross version of the Volvo 440, fitted with the Volvo 2.3-litre, 16-valve engine outputting 715 horsepower, competed in 1992. This car also had four-wheel drive. The 440 Turbo came with trip computer fitted as standard. This was able to display fuel consumption, average speed, range, oil temperature, coolant temperature and external temperature. When the ignition was switched on, the display showed “OK” if the oil level was correct. As of 1 December 1991, Volvo Car B.V. stopped producing the 400 series and production was transferred instead to NedCar B.V. The new company was owned by the Dutch state, Volvo Personvagnar AB and Mitsubishi Motors. The LCP 2000 concept car was a predecessor of the 400 series. The “Light Component Project” was presented in the spring of 1983 and was a driveable prototype of a future lightweight car. The LCP2000 was built from various lightweight materials and had front-wheel drive, with a transverse engine.